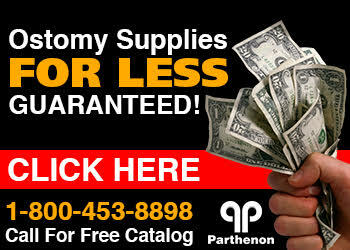 The Parthenon Company Blog - Specialists in Wound and Ostomy Supplies: What is ConvaTec's Esteem® + One-Piece Drainable Ostomy Pouch Like? What is ConvaTec's Esteem® + One-Piece Drainable Ostomy Pouch Like? The one-piece system that's gentle on the skin, while remaining secure and easy to use! Flexible and discreet, ConvaTec's Esteem® + one-piece ostomy system is the all-in-one solution that combines the skin barrier and pouch in a single unit, allowing for a simple, secure, and comfortable experience. Available with a modified Stomahesive® or Durahesive Plus® skin barrier that gently adheres to skin and protects it from break down. Pouches offered by ConvaTec can be used by people with ileostomies as well as colostomies during the day as well as night. They are great for use during travel and by those with an active lifestyle.